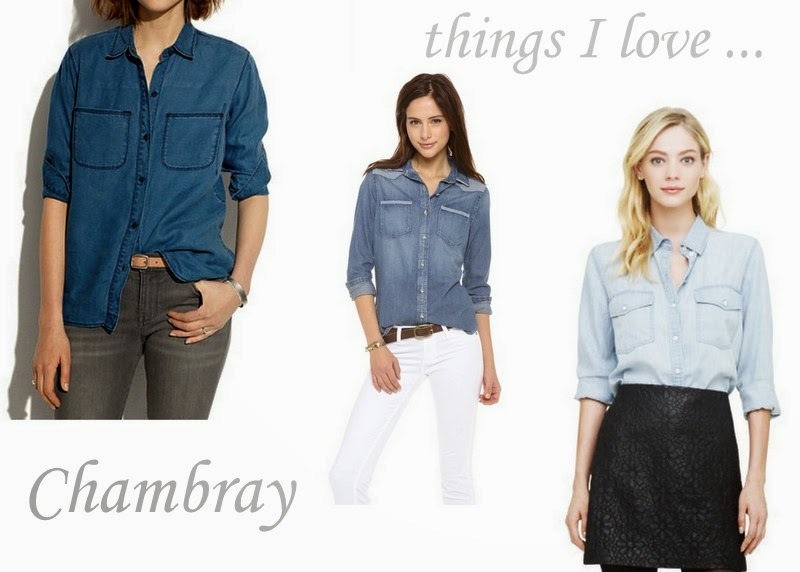 Every one needs a chambray shirt! So versatile, so many variations (tank, long sleeve, dark, light). Meaning you can't have just one! I've been known to dress one up and wear it to the office! (Tuck into pencil skirt, cuff sleeves, add chunky sparkly necklace and some great pumps!) Always wear them on the weekends - with patterned denim, ripped denim, Canadian Tuxedo's all the way! Do you have a favorite - please share! Do you have multiple, like me?